Catherine Truman is best known for intricately and evocatively carved wood and mother of pearl jewellery and intimate sculptural objects, yet her oeuvre encompasses large public works, drawing and writing, performance, photography and moving image. She both adorns the body and critiques its embedded culture, science and philosophy. Her carvings and constructions are compelling. She captures the nuance of light folding across an everyday object, the sensation of a colour’s warmth or coolness, or the almost imperceptible shudder of materiality. Located within touching distance, her makings for and about the body draw proximity, sense resonance, feel detail, touch with the eye and see with the hand. Truman’s practice has a palpable anatomy; articulating the relationships between the felt and experienced; the seen and unseen; between medium and production. Silken threads, connecting gestures, forms and techniques reach across time and location, between suites of more traditionally crafted work and those that infiltrate and augment the scientific realm. In Catherine Truman: Touching Distance, author Melinda Rackham draws on interviews with Truman, and research into her archives, to reveal the philosophical perspectives that underlie the endeavours of a celebrated, most original artist. Seductive images illuminate the text. A multi award-winning contemporary artist famed for her work spanning art and science, Catherine Truman is well known to Adelaide locals for her iconic public artwork The Slate-Pool Walkway at the Art Gallery of South Australia, better known as the fish gates, and the giant leaf sculptures adorning the David Jones building on North Terrace. 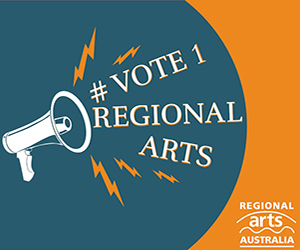 Truman is also co-founder of Adelaide’s Gray Street Workshop, a collectively run studio and access facility for artists working in the field of jewellery and object making, which celebrates 30 years this year, and was named SALA Festival Featured Artist for 2016. Dr Melinda Rackham is an artist, curator and writer. Her pioneering Australian internet art wove tales of intimacy and identity online, and her scholarly pursuits in virtual worlds saw her founding and producing the international media arts forum -empyre-. Rackham was director of the Australian Network for Art and Technology where she widened audiences and access to new artforms. As her early network art finds a new generation of viewers, Melinda occasionally creates playful digital public interventions. She writes poetry, socially informed fictive memoir and continues to interrogate the philosophies and processes of interdisciplinary arts practices. 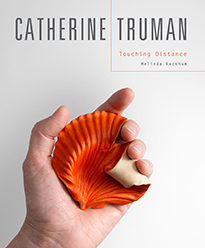 Catherine Truman: Touching Distance is published by Wakefield Press. For more information, visit: www.wakefieldpress.com.au for details.